Cookies by Design was founded in 1983 by Gwen Willhite. She had the unique idea to produce flower bouquets from tasty cookies. Originally operating as Cookie Bouquets, she ran the company from the kitchen inside her home. Thanks to her success, she was forced to move to a larger location very soon after. Just a couple of years later, she moved to Dallas, Texas from where she based the business. The company's unique offerings were desired in many more places than her one single location could service. So, franchise operations started springing up starting in 1987. The company changed its name to Cookies by Design in 2004, and currently has close to 100 locations operating across the country. You can find the official website located at cookiesbydesign.com. Shopping for their assortment of products is easy enough. 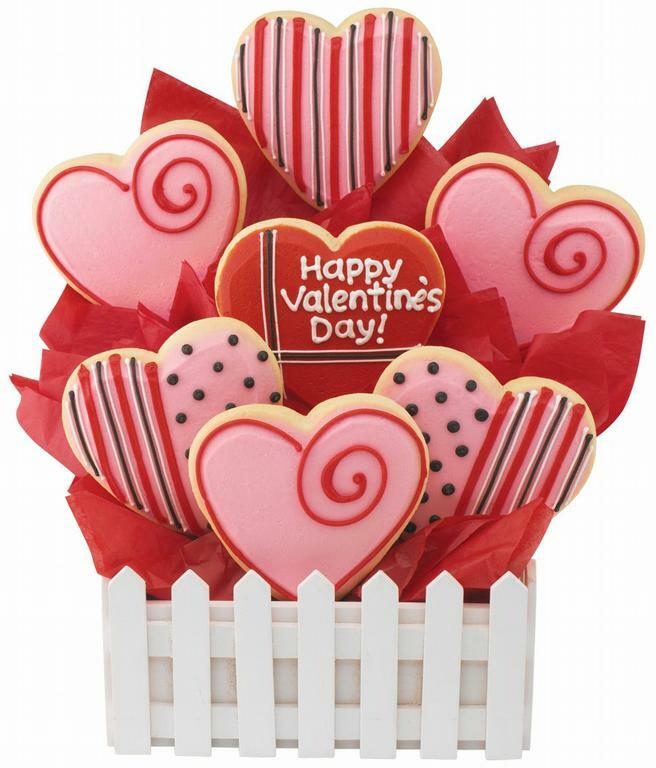 You can browse by type such as cookie bouquet, tray, or basket. If you already know how much money you're trying to spend, you also have the option of shopping by price. Their offerings are constantly changing on the website. Their designs are commonly based on upcoming holidays and seasons. So, they're the perfect place to find a unique Halloween, Christmas, or Valentine's Day gift. If you live close enough to a retail location, then they will themselves be responsible for delivering your order. If not, then it will be delivered by a carrier such as UPS or FedEx. If you place your order soon enough in the day, then you may be able to get it delivered that same day. There are tons of unique gifts that you can buy from Cookies by Design. The company's original product was the cookie bouquet, something they are still proud to offer to this day. Their cookie bouquets are also available with popular characters such as Garfield and Disney characters. However, they have definitely expanded their catalog. These days you can also get a BouTray of decorated cookies or even a cookie cake. They can also custom design party favors to suit your needs. 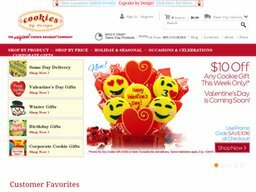 You save save money on buying a unique gift from Cookies by Design by using special coupon codes before you checkout. Customers can easily find these codes here at Coupofy Coupons, where a dedicated page is regularly updated with offers as they become available. Simply search the site to see what current deals you can take advantage of, then click the link to be taken to their official site to save money when checking out. There are two methods of payment on the cookiesbydesign.com website. You can pay using your Paypal account or using a major credit card from Visa, Mastercard, Discover, or American Express. Since it's a food product, you'll have to have a good reason to want a reason. Such as the company sent you the wrong order. An easy way to get in touch with the company is to send them an email at customerservice@cookiesbydesign.com. If you have a question about your order though, then you should direct your email to [email protected].